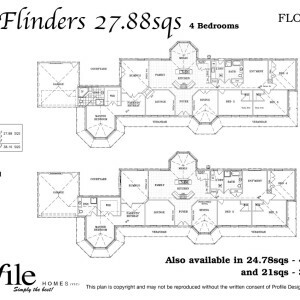 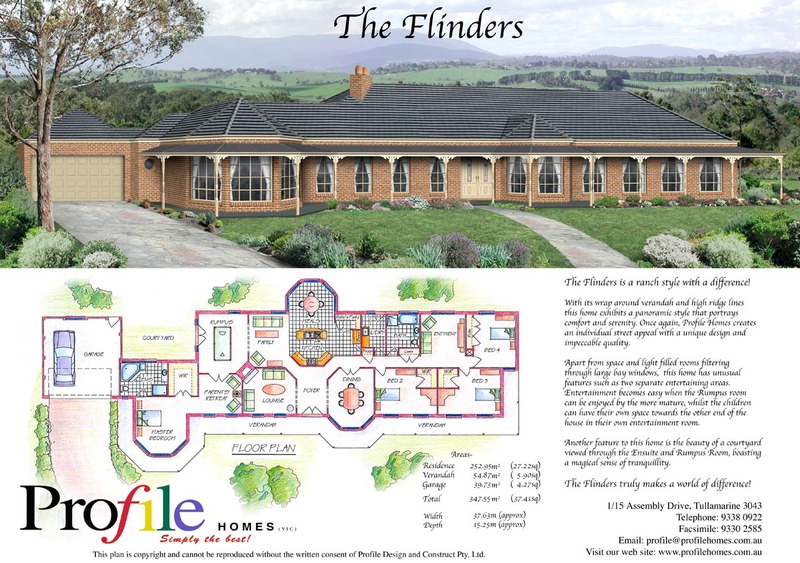 The Flinders is a quality homestead that delivers style, substance and space when it comes to single-storey house designs. 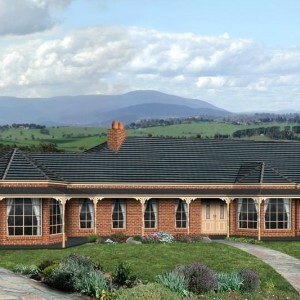 With its extensive verandah, great roof line and welcoming street appeal it can’t fail to impress from the outside. 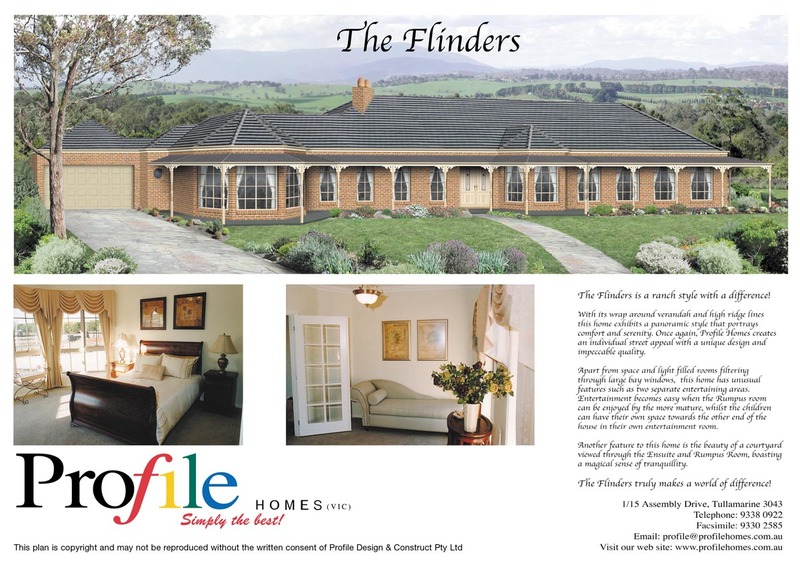 And it’s a similar story on the inside, with two entertaining areas, rooms bathed in light from the generous windows and tantalising views to a tranquil courtyard. 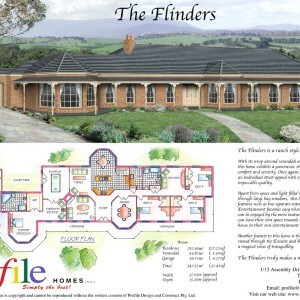 Put simply, it’s a gem for people wanting to build across Melbourne and in Geelong. This quality, 36-square house, perfect for family gatherings and entertaining friends, also conjures up feelings of peace and comfort. 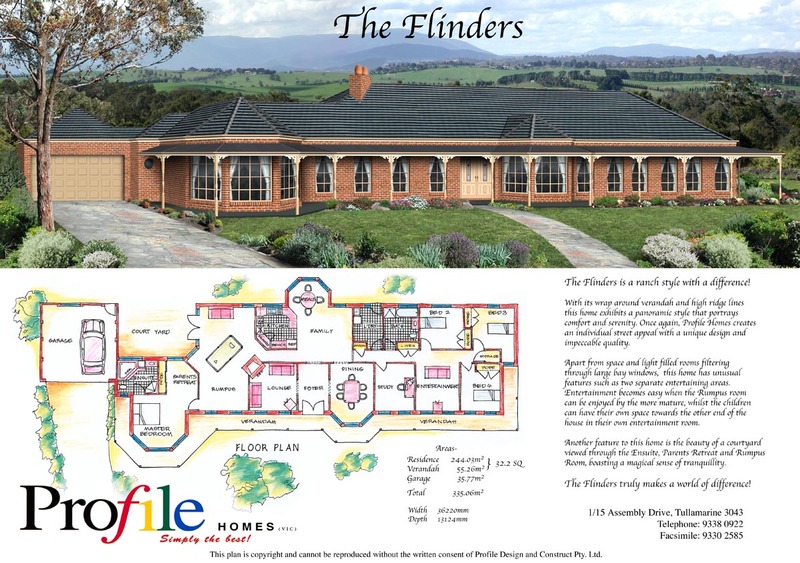 With features including a rumpus room, parents’ retreat and large bay windows, it is sure to capture your attention. 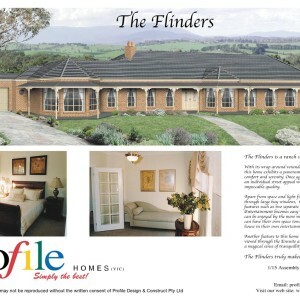 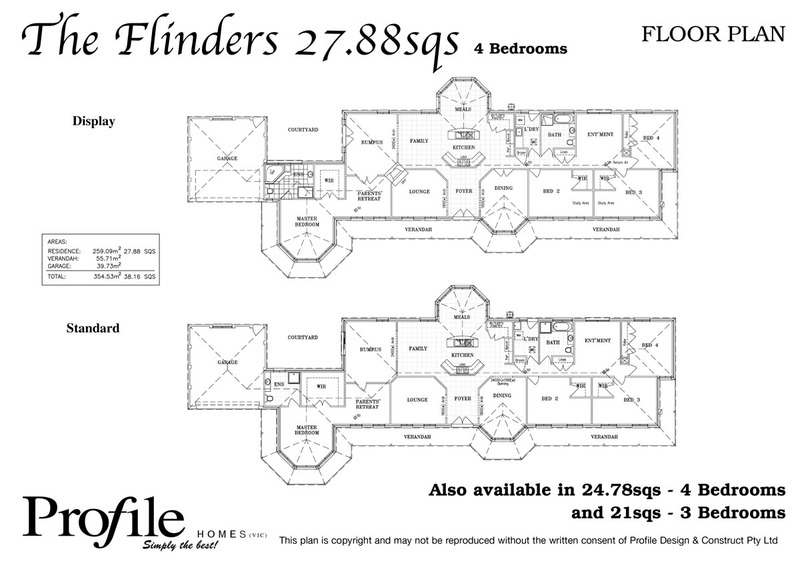 In the competitive field of single-storey home designs, the Flinders is definitely a star performer. 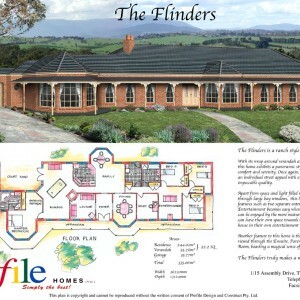 The 335m2 home, which includes a 36m2 garage and 55m2 of verandah, measures 36.22m wide and 13.12m deep.